The Zimbabwe Electoral Commission (ZEC) has effectively put an lid on the 2018 election cycle despite some concerns still being raised by the leading opposition party, MDC Alliance which says it feels aggrieved by the manner in which the elections were conducted. 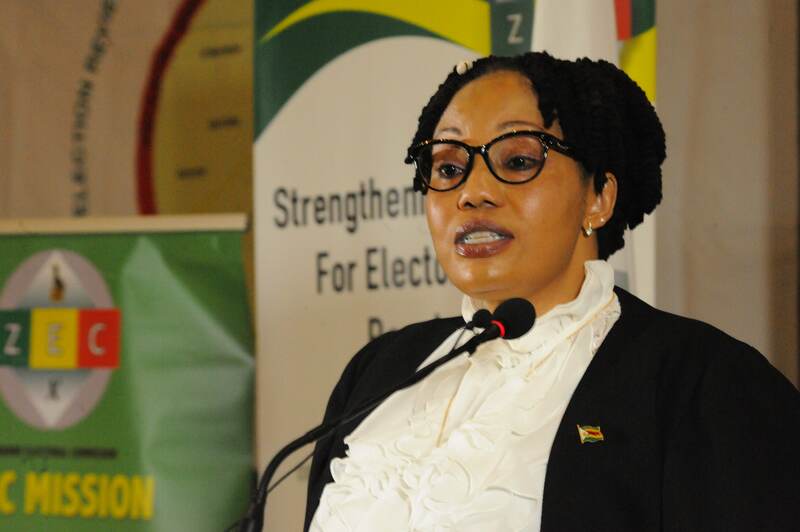 At a 2018 Election Review conference held in Nyanga last week, ZEC Chairperson Justice Priscilla Chigumba said the only logical thing would be to start focusing on the 2019-2023 election cycle. “The main thrust of this conference is to introspect on the 2018 harmonised elections as the commission seeks to formally bring the 2018 election cycle to its logical conclusion in preparation for the 2019-2023 election cycle,” she said. Chigumba said the commission was aware of the various concerns raised by political parties and civil society groups but the time was ripe to move on. Nelson Chamisa of the MDC has, since August 2018, maintained that he won the elections although ZEC and the Constitutional Court gave the victory to the eventual winner, President Emmerson Mnangagwa. Chamisa maintains that Mnangagwa is the illegitimate President as he alleges that he was aided by alleged ZEC election rigging mechanisms. Although Mnangagwa has on several occasions called for a national dialogue to address the 2018 elections, Chamisa has remained stubborn saying he will not engage an unconstitutional leader. At the end of the three-day conference, various political parties and civil society groups agreed to put the 2018 elections to bed but with key recommendations for ZEC to start preparations for the 2023 elections early. Political parties and election observer bodies have on several occasions raised concerns over the transmitting of election results, management of the elections by ZEC, especially the logistics committee which they have said should be disbanded. The Zanu-PF party which is alleged to be the biggest beneficiary of ZEC’s inefficiencies said although ZEC was not perfect, it was credible enough to hold uncontentious elections.